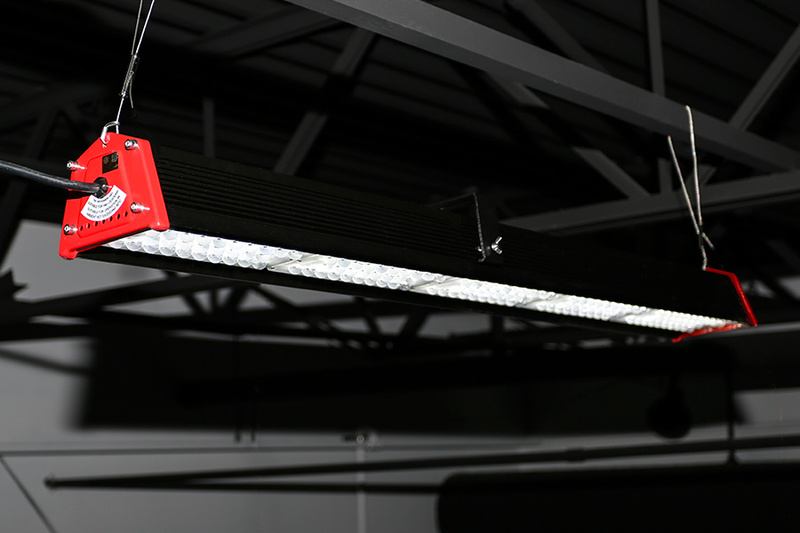 High Bay Fixtures are the premier choice for lighting up garages, warehouses, work areas, indoor sports arenas, storefronts, and more. The full aluminum body design allows for a lightweight yet sturdy build. This makes for easy installation with the included hardware and gives assurance that the light will stay put and shine bright for years to come. 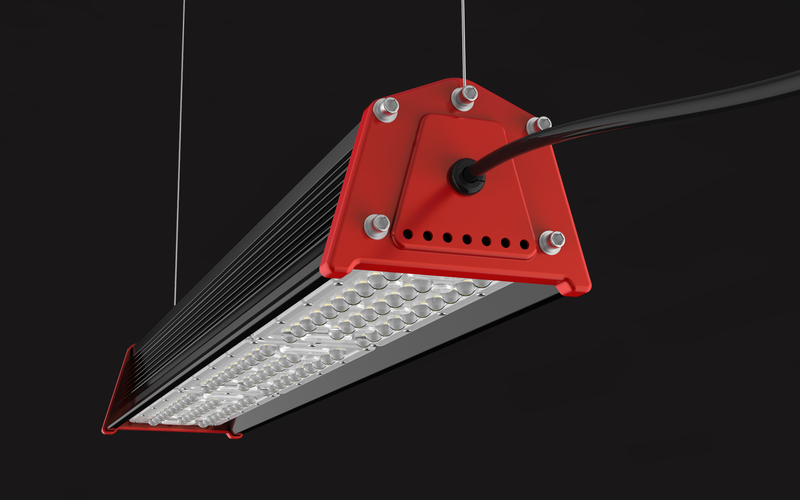 WHAT IS THE DETAILS OF OUR LED HIGH BAY LIGHT? 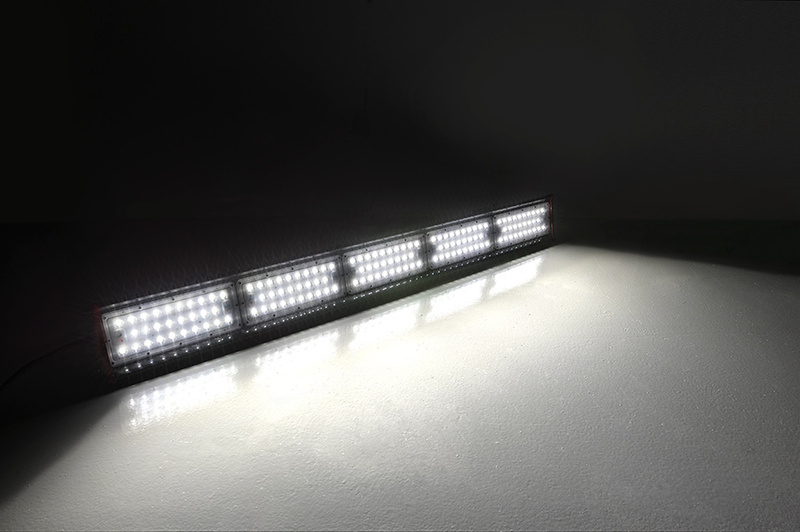 What's the features of The LED High bay Light? 2.Just a few screws, Very Easy Installation, help save much Labor Cost. 3.Very Light Weight, help save much freight cost. 4.Private tooling and compact design. 5.Various Housing colors:Black+Red, Black+White, All White. 7.Various lens options: 60°/90°/asymmetry lens, suitable for warehouse, supermarket, etc. 8. Installation types: cable grippers hanging; mobile Ceiling Mount; fixed ceiling mount. 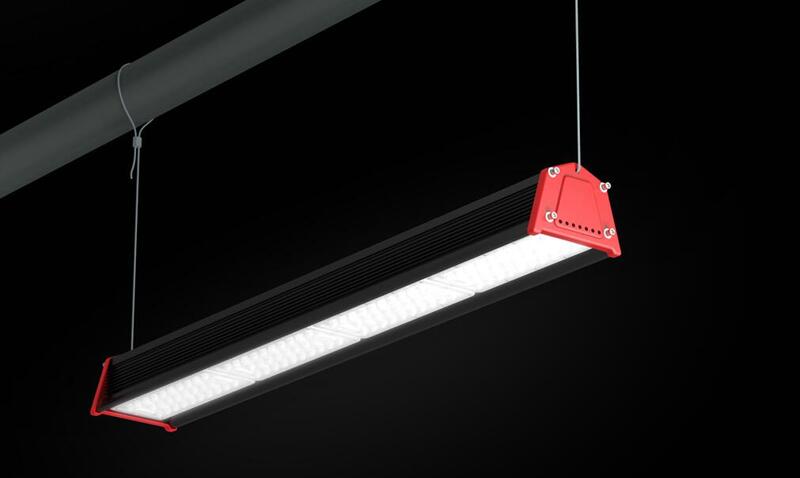 This linear low bay light delivers 14301 lumens at only 100 watts of consumption and is backed up by a 5 year manufacturers warranty allowing you to rest assured that quality has not been compromised to achieve output. Easily replaces HID 250W on ceilings under 22 feet. Superior L70 rated 50,000 hour maintenance free life. With this light you will achieve 70% of the initial lumen output up to 50,000 hours. This not only saves you money in utility costs but this also eliminates costly maintenance expenses. Multiple voltage input ranging from 100-277V with no special wiring requirements and comes equipped with 0-10V dimming compatibility which allows for use with 0-10V lighting controls such as motion, occupancy sensors, and daylight sensors. If dimming is not needed simply do not use the additional dimming wires and leave them capped off. 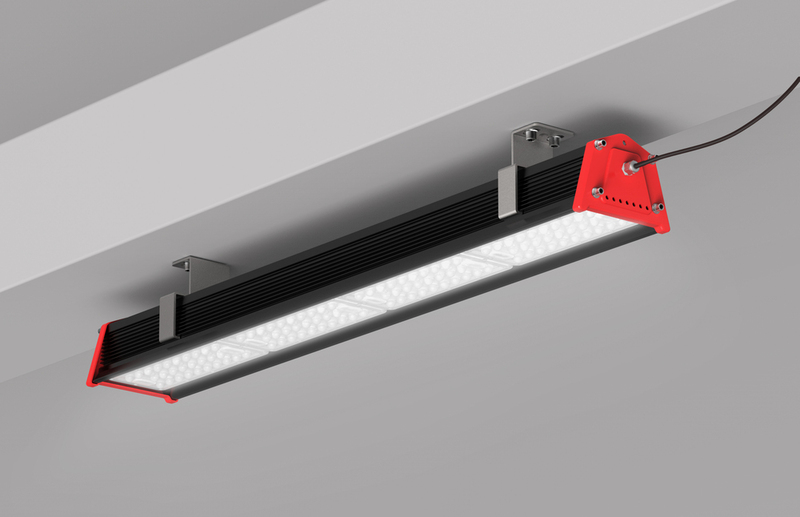 We supply this light with chain mounts but it has capability to be mounted on a bracket as well. 1) Do you use top-tier vendor of LED chips and drivers? 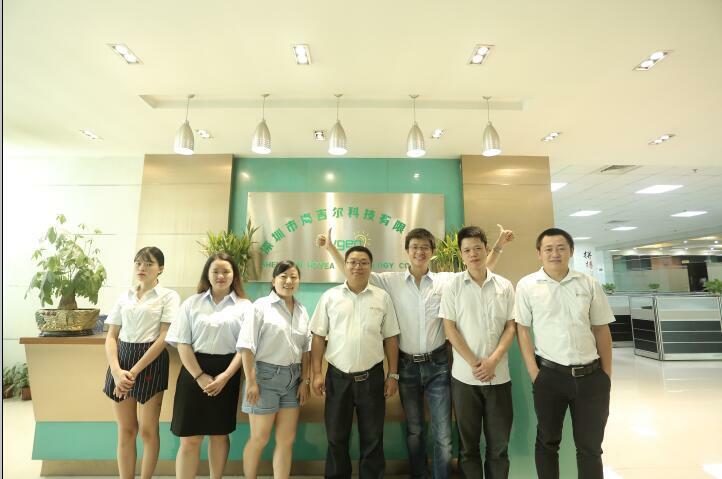 A) For all of our LED fixtures, Hygea LED Lighting uses one of the top five LED chips and drivers suppliers to ensure the highest quality standards are met at all times. 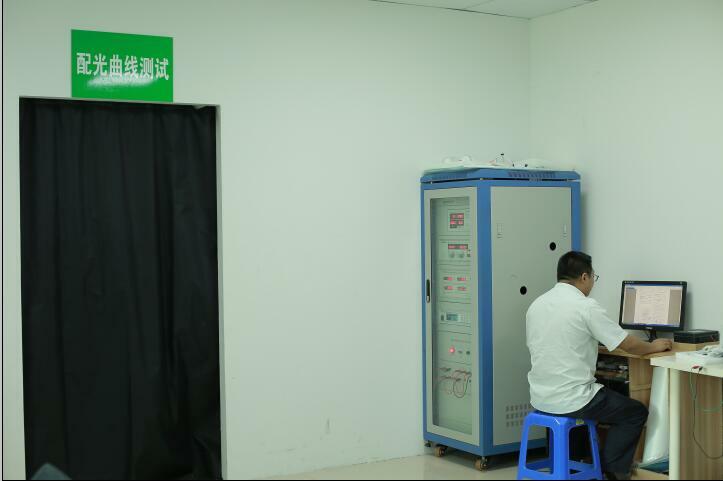 2) Can you provide an IESNA LM-80 test report for your fixtures? A) Hygea LED Lighting can supply LM-80 test reports for all of our LED fixtures – simply contact Hygea LED Lighting at salesAThygealedlight.com and request our tech support team to obtain the testing reports. 3) How do I ensure that the maximum temperature range of the LED within the fixture is not exceeded in my particular application? A) At the maximum operating temperature of any Hygea LED Lighting fixture, the maximum junction temperature of the LED is not exceeded. 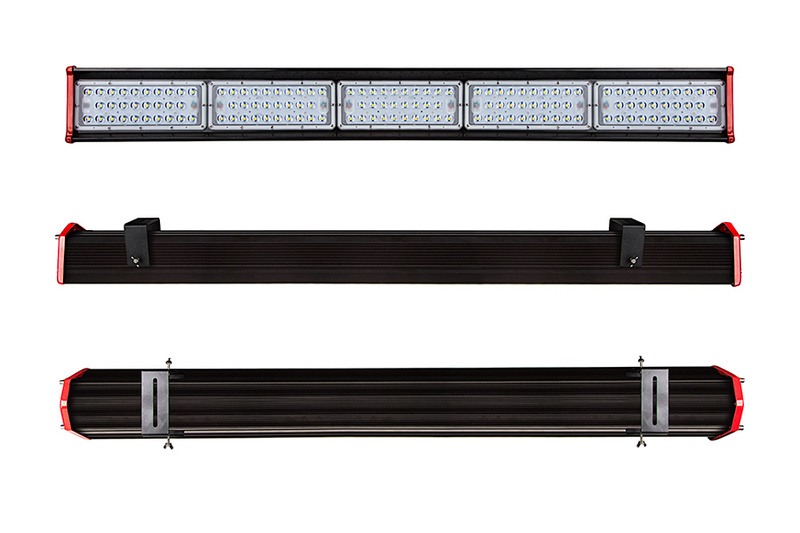 4) What is the life expectancy of your LED fixtures? A) The life of the LED fixtures varies depending on the specific product or application, and can be maximized by incorporating controls. Contact our technical support team to request calculations for your specific fixture. 5) Do you supply IESNA LM-79 test reports as well as .ies data files? A) Yes – LM-79 reports are available upon request and our .ies files are published online for all product families.Both are produced by our NVLAP-accredited laboratory, per DOE CALiPER specifications. 6) Can you tell me the delivered lumens and LPW of the luminaire? A) These values vary depending on the specific product and configuration selected. Please see our specification sheets and photometrics online at www.hygealedlight. com for details. 7) Is the chromaticity in the ANSI C78.377A color space and does it hold steady throughout the life of the luminaire? A) Yes – all of the LEDs used by Hygea LED Lighting are in the ANSIC78.377A color space. 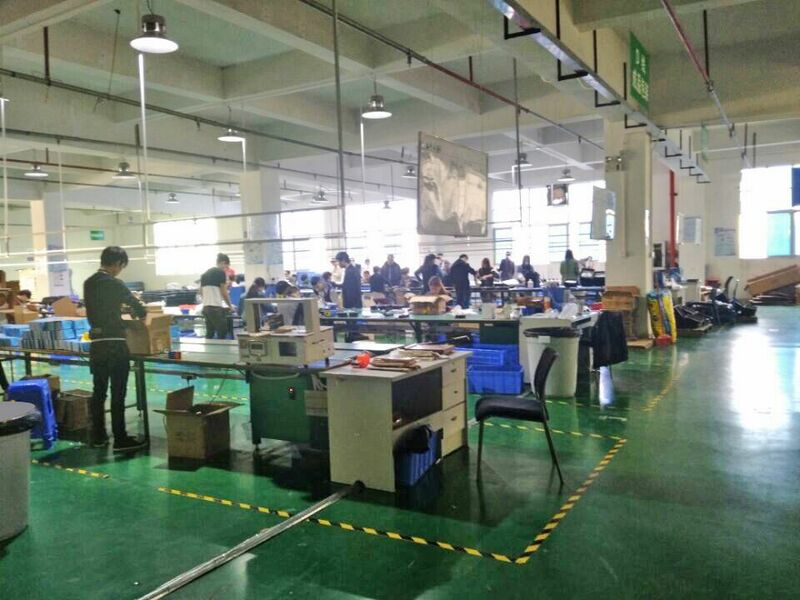 All are very stable over time and this can be verified by the chromaticity shift properties that are reported in the LED manufacturer`s LM-80 report. 8) Do you ensure that tight binning specs are maintained at your LED facilities so that the color of the light output doesn`t vary from luminaire to luminaire? A) As with older technologies like HID and fluorescent, it is possible to have variation in the color temperature of individual luminaires. We employ tight binning specifications in our supply chain to limit this variation as much as possible and in some applications such as commercial indoor troffers and downlights, have industry leading specifications. 9) What is the power factor of your fixture? Do your LED fixtures consume too much power in the `off-state`? A) The power factor and total harmonic distortion (THD) of the fixture are often confused with the power factor and THD values for the drivers, which are more widely published (our LED drivers all have a PF of >=0.9 and THD of <20%). The fixture power factor and THD values account for other components in the electrical circuit, but our fixtures also happen to conform to the same performance ranges as the drivers (PF of >=0.9 and THD of <20%). 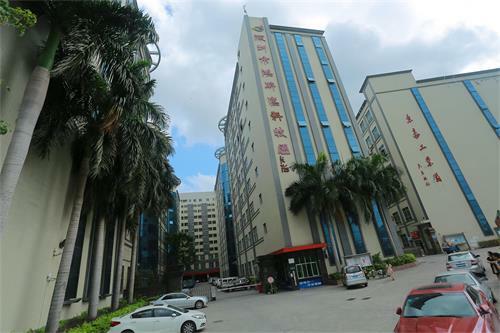 Off-state fixture power consumption is less than 1 watt. 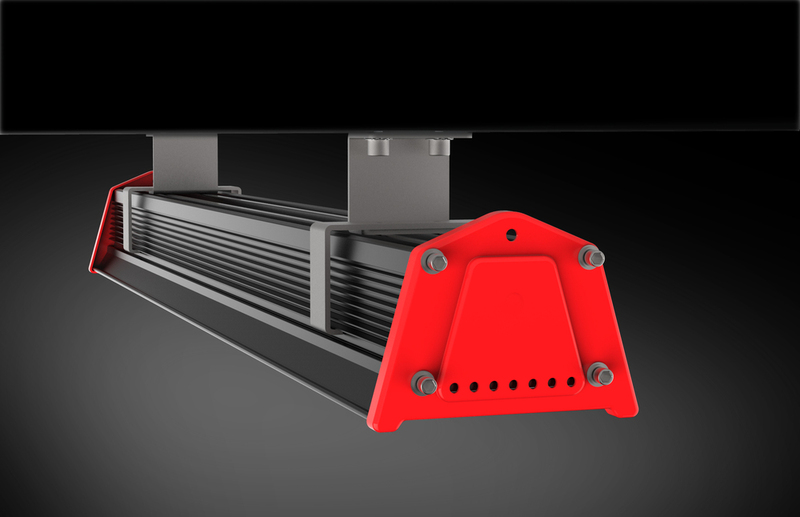 10) Are your fixtures lead free, mercury free and RoHS compliant? A) All of the electronic components within our fixtures and controls are lead free, mercury free and RoHS compliant.